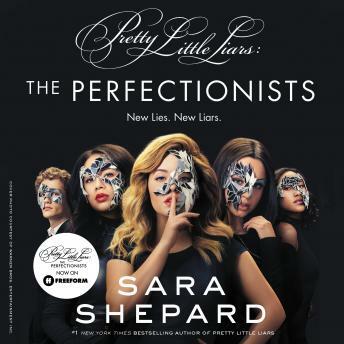 Don’t miss the Freeform TV series, Pretty Little Liars: The Perfectionists! From Sara Shepard, #1 New York Times bestselling author of the Pretty Little Liars series, comes a series that’s perfect for fans of One of Us Is Lying and We Were Liars. Ava, Caitlin, Mackenzie, Julie, and Parker are all driven to be perfect—no matter the cost. At first the girls think they have nothing in common, until they discover that they all hate the same person: handsome womanizer Nolan Hotchkiss, who's done things to hurt each of them. They come up with the perfect plan to murder Nolan—jokingly, of course. They'd never actually go through with it. But when Nolan turns up dead in the exact way they'd discussed, the girls suddenly become prime suspects in his murder. Only, they didn't do it. So who did? Unless they find the real killer, and soon, any one of them may be the next to die….